Area code 514 was put into service. In 1957 area code 514 was split to form area code 819. In 1998 area code 514 was split to form area code 450. In 2006 area code 514 was overlaid with area code 438. 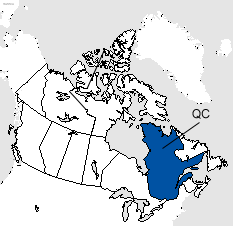 Area codes 514 and 438 cover Montreal Island, Île Perrot, and Île Bizard.